Having a large followers base on Twitter is essential for using this social network effectively: the more users read your messages, the higher are your chances it will be retweeted and noticed by influencers, celebrities and trend setters in your audience. This, in turn, will help you reach more of the target people you are interested in - prospects, other influencers, potential clients, future employers or anything else you want to focus on. In order to constantly gain followers and expand your reach on Twitter, a few tactics have been proven to be effective and successful, both “outside” and “inside” the platform. We will quickly present them here, giving you also a few tips on how to harness them to reach more and more people in a cost-effective and scalable way. As you might have already noticed, people with a large following and an existing strong brand in the real world or on other social media platforms usually have a huge number of followers also on Twitter: celebrities, politicians, business or sports personalities don’t need much effort to have thousands if not millions of followers since people already know them well and can’t wait to read their updates and latest tweets. While there isn’t much you can do on Twitter to use this technique - apart from being some sort of celebrity, at least in your target audience and circles - what we can suggest here is to work on your personal brand, finding guest appearances on podcasts, blogs, webinars or social groups and never forgetting to mention your Twitter account, inviting people to follow you to keep up with your updates. While the technique we presented above is somehow “outside” of Twitter, we will now focus on two tactics you can use directly “on” Twitter, growing the following and reach of any existing account, be it your very own of the ones of your clients. The first thing to remember is that, at its core, Twitter is still a numbers game. What this means is that the more you tweet (interesting stuff), the higher your chances of being noticed and followed. So it’s extremely important to have a constant schedule of tweeting posts, comments and thoughts, ideally mixing links and mentions of other people with your own contents. The most powerful way to get more followers is by engaging with influencers, experts and authorities in your target audience. The more you retweet and like valuable tweets that remarkable people produce, the more you will be noticed by them and by their following. This, coupled with a constant sharing of original and targeted content as mentioned above, inevitably leads to an increase in your reach and an organic growth of the number of users that follow your account and personally engage with you. While the last two tactics we mentioned seem perfect, their drawback is that they are very time consuming: given the huge quantity of tweets and contents and links and mentions everybody constantly shares on Twitter, handpicking the ones worth retweeting and favoriting from the right persons at the right time is a job in itself, which requires hours of dedication, every.single.day. This is the reason why we created Tweet Ninja: with its powerful A.I. 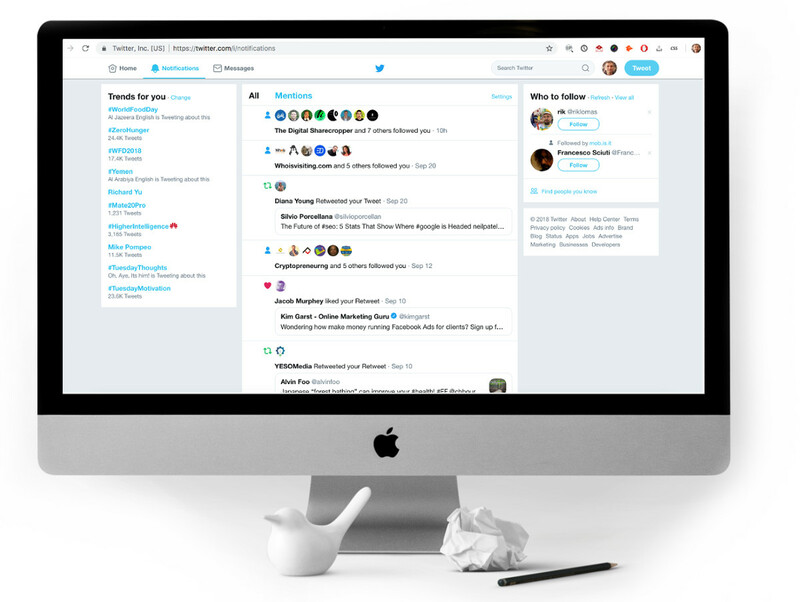 and intelligent algorithm, this Automated Personal Twitter Assistant can autonomously identify the most interesting tweets from the list of people you ask it to keep an eye on and then, in an extremely natural way, retweet and favorite the ones that are most likely to have you noticed. This immediately translates in a stream of fresh, interesting and valuable content produce by your account, which in turn would immediately draw the attention of people in your target community and organically grow the number of real, powerful and engaged followers. Click on the button below to try it for free for 7 days - you won’t miss a tweet, and you will immediately see results.